I live in the Horley (Surrey), my tax was up for renewal with my mot expiring. Like most people I live a very busy life. 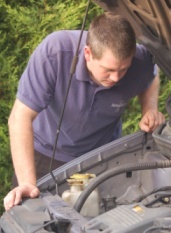 I work in East Grinstead (West Sussex), it was impossible for me to get my car serviced at a convenient time for me. I searched for ‘Horley car service and repair’ in Google and came across Automiles, I thought what have I got to lose. I gave them a ring and spoke to a very friendly professional lady on the phone and within a few minutes I had explained the problems I was having and we agreed a convenient time for a mobile mechanic to come to my house for a full service. The service was carried out and a pre MOT check done at the same time. The next day I travelled to work as usual and the mechanic came and collected my car for its MOT. It was returned back to the car park with its new MOT certificate ready for me to drive home from work! I was extremely happy with the work that was done at an affordable price. I would recommend Automiles mobile mechanics to anyone. I would just like to thank all of the team at Automiles. I have lived in Horley, Surrey all my life and am so pleased to have found a traditional firm who practice genuine honesty and decency. I received a leaflet for Automiles through my door and knew my car needed a service so thought I would give them a call. I had received an extortionate bill from a local garage the year before and felt that the price far exceeded the service I had received. I was so pleasantly surprised and pleased with the service and price, all without having to leave my door. The mobile mechanic assigned to my appointment arrived punctually and carried out the service in the rain with the mobile shelter and no mess was left at all even with the oil change. I was even more surprised when I asked for the cam belt to be changed. The lady on the phone said that it was not due for another two years, even though the garage had recommend it to be changed! What a pleasant surprise to find such honesty nowadays. Thank you and I look forward to dealing with you in the future. I am just mailing you to let you know how happy I was with your services. It was a relief to find a company that worked around my schedule not their own. I am a teacher and find it near impossible to get to work without a car so when I found out that a mobile mechanic could visit my home in the evening it was ideal. I had a problem with an engine management light that the manual had told me to consult the dealership. I knew from previous work that this would be expensive! I was happy to find that after diagnosing the problem with a computerized code reader the mechanic suggested that I just top up the oil as this has been known to affect the sensors for the management lights. I was pleased to find out that this solved my problem at no cost to myself. What a great service! A trustworthy company that doesn’t overcharge or invent work that needs doing! Thankyou. My car had broken down at the side of the road in Horley and I really didn’t know what to do. I was on my way to work in Redhill and the car just wouldn’t go into gear. My friend had given me a leaflet for Automiles and so I gave them a call. The lady on the phone took all the details and said that she would see if she could get anyone out to me. She called back minutes later and said someone would come out and see if they could at least get the car home for me. My clutch cable had snapped and the mechanic got the car back and sorted the problem out really quickly considering it was over Christmas. I couldn’t believe it was so easy!